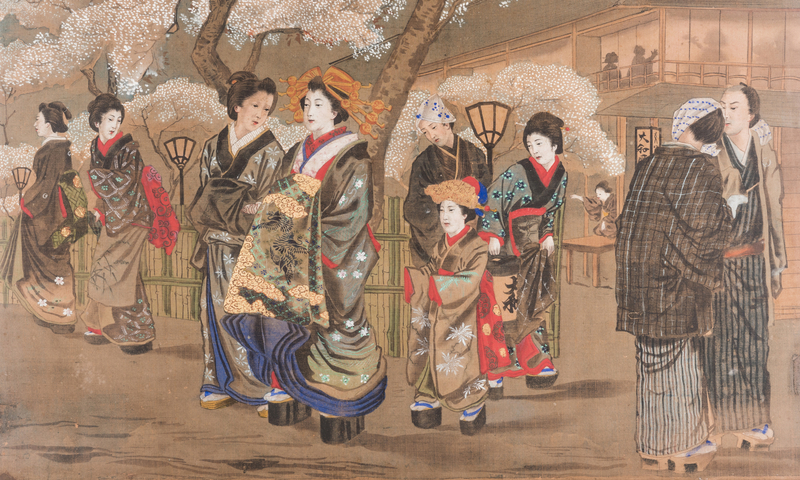 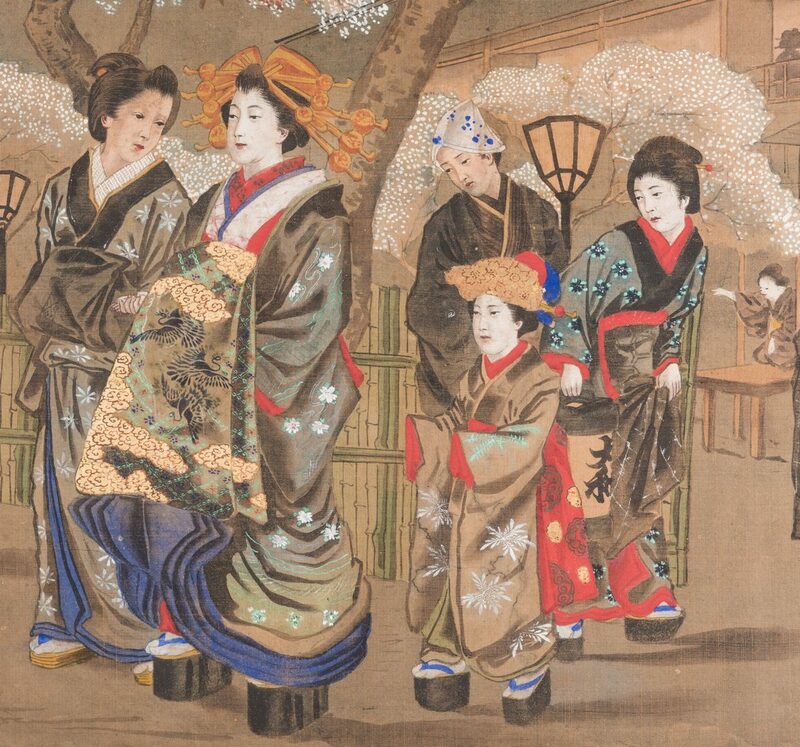 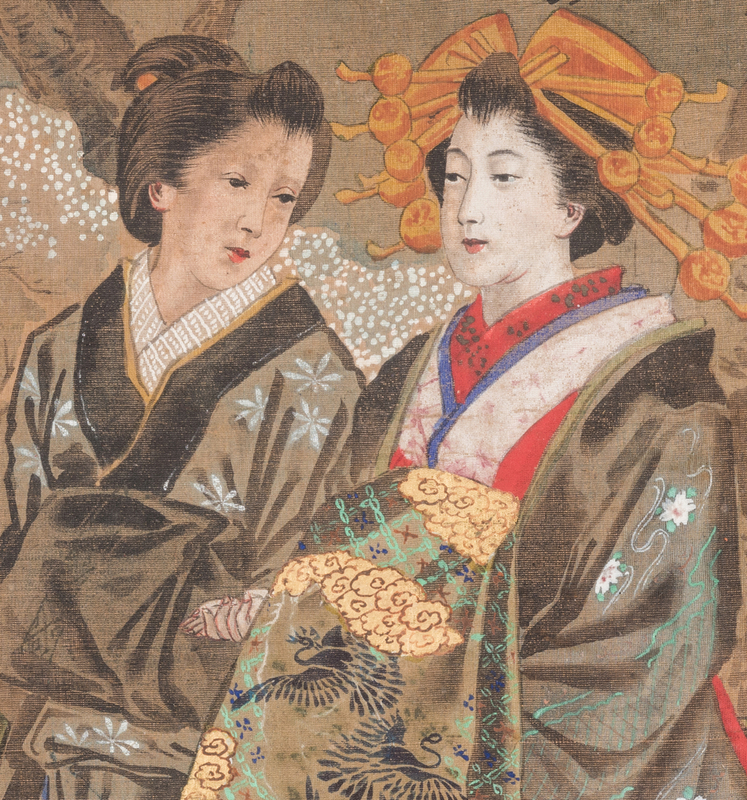 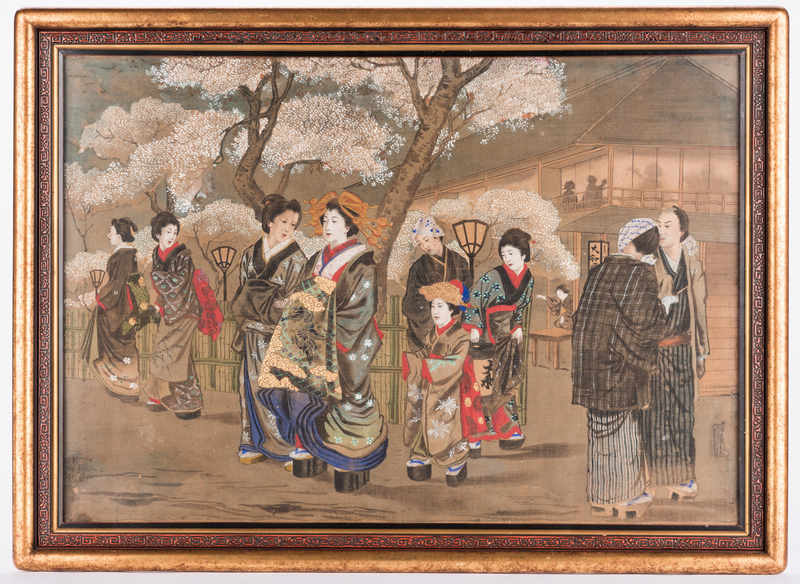 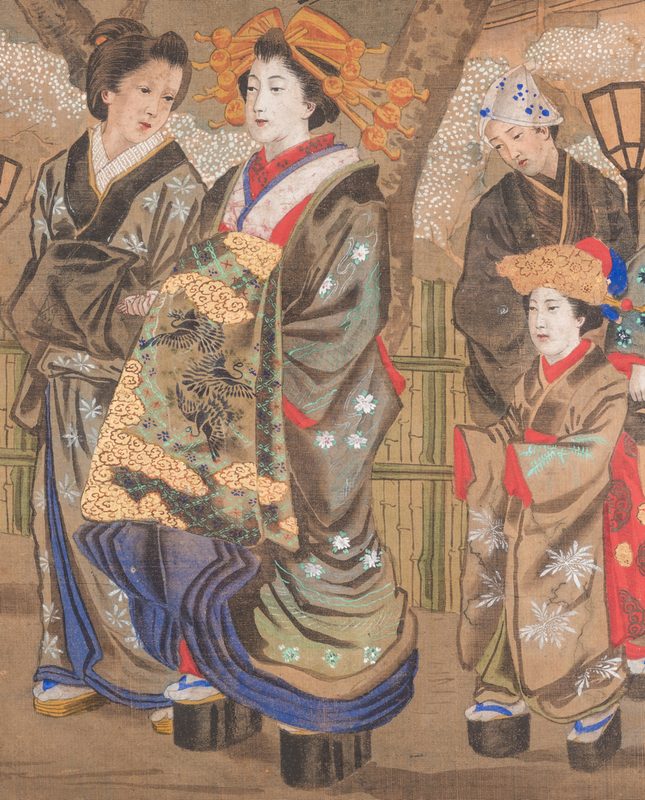 Japanese painting on silk, handpainted with some applied stencils, depicting a gathering of geishas and others in an outdoor setting. 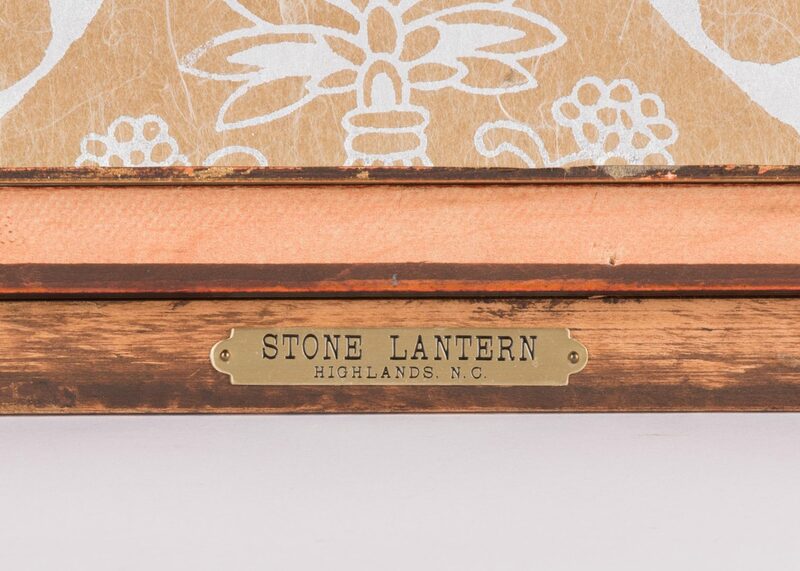 Two faded maker’s seal marks at lower left and lower right. Brass plaque for Stone Lantern, Highlands, GA antique store mounted en verso. 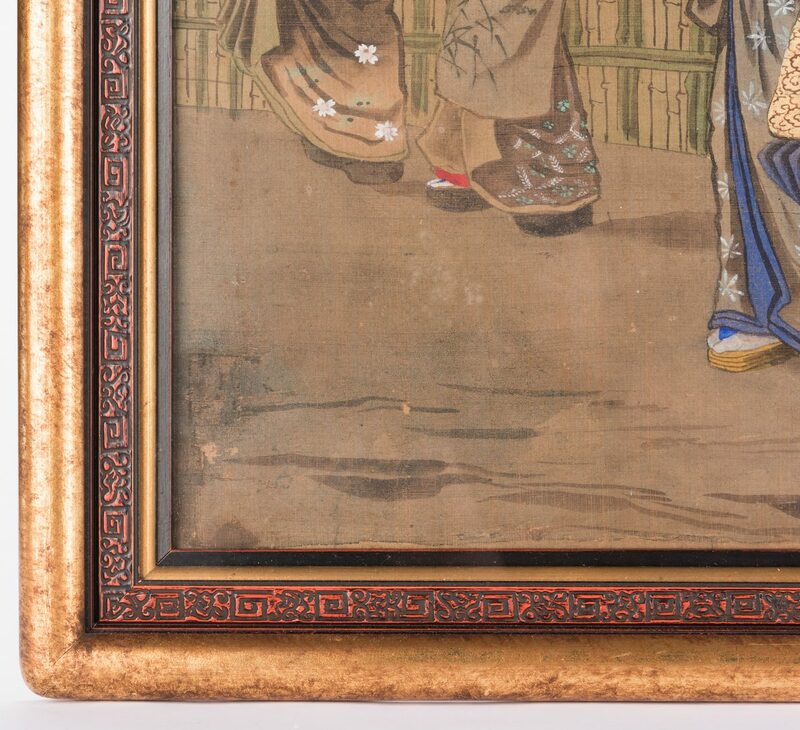 Framed in burnished gilt molding with faux cinnabar fretwork liner. Sight – 21 5/8″ H x 31 1/2″ W. Framed – 26 1/2″ H x 36 1/4″ W. Meiji Period. 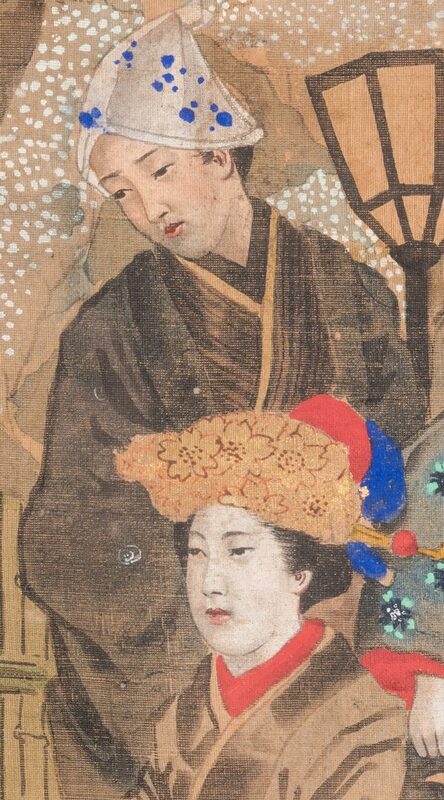 CONDITION: Image in good condition. 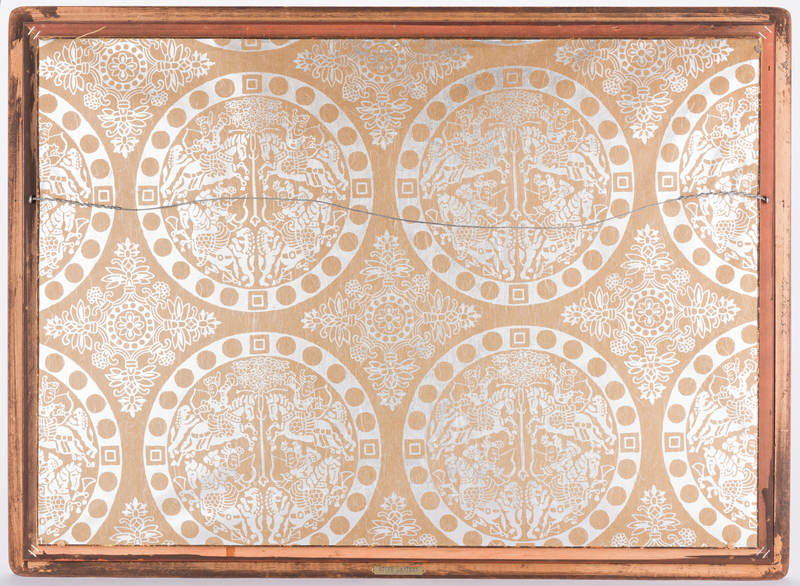 There appears to be scattered areas of mold bloom on inside surface of the glass.